Invite high rollers with this exciting Casino Invitation. The dark background full of hearts, diamonds, clubs and spades helps the bright blue lettering pop, with cards and chips in the middle. 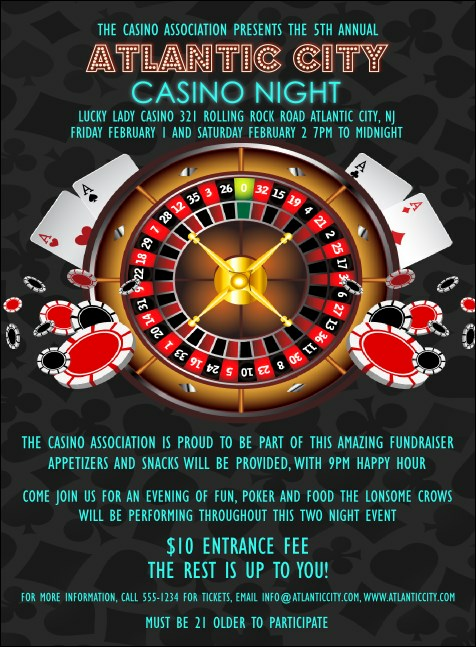 Send this out before your casino night or fundraiser for your cause and bet on great attendance. Don't gamble with your event needs! Find the right design at TicketPrinting.com.